Occasionally I get the opportunity to attend a great event benefiting a great organization. 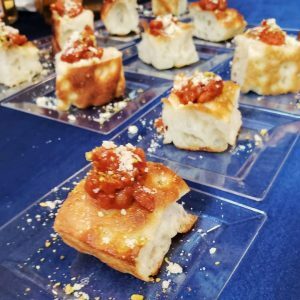 Recently I attended One Bite, One Day benefitting local non-profit One Day to Remember. Their mission is to create lasting memories for children of parents with a life-limiting illness. They help the family forget about the illness for a day, have time together and remember what a day was like before the diagnosis. The intention is to give the family a day without having to worry about the future, treatment, sickness, or financial hardship. 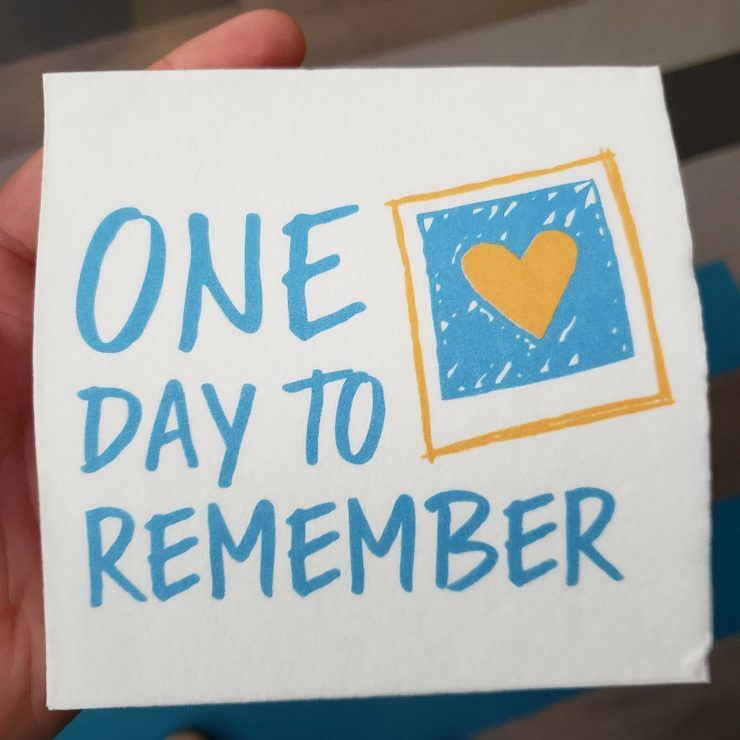 Please visit the One Day to Remeber website to learn more about this great organization. E very year, One Day to Remember hosts One Bite, One Day; a fantastic cocktail party featuring signature dishes from local executive chefs paired with a complimentary cocktail. The evening also offers live music and a silent auction. 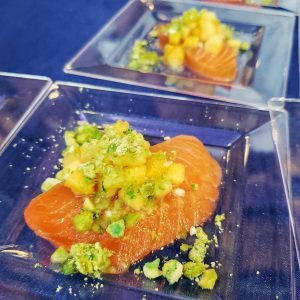 Each year the event has grown to offer more delicious dishes and great cocktails. Around the event were photos of the families provided great experiences. 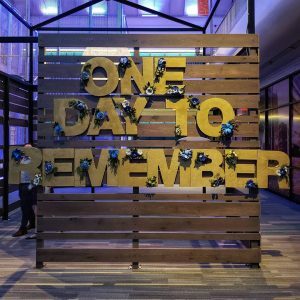 Some families also told their stories of finding out how their lives would change, the experience that created lasting memories and how much it meant to the family. These stories really show the great work One Day to Remember is doing for these families. This year, I was able to attend One Bite, One Day with other Pittsburgh foodies Abby (@foodismysaviorr), Shannon (@pittsburghplates) and Stacy (@yinzhungry412). There were so many different dishes and cocktails to try. 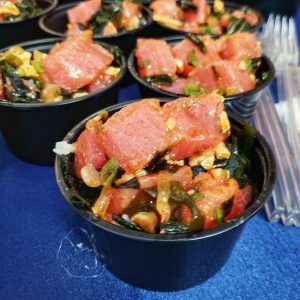 I’ve talked in the past about how I love events like this because there are so many great and innovative things to eat in one place. 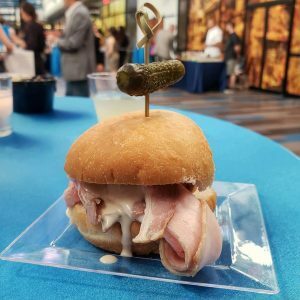 The list of participating restaurants can change year to year. This year the following restaurants created terrific dishes for our tasting: Bar Marco, Blue Sparrow, Bird on the Run, Kahuna Poke, La Riviera, Michigan & Trumbull, Millie’s Ice Cream, Muddy Waters, Pie for Breakfast, Pizza Taglio, Spork, Supper, The Vandal, Umami, Willow and Yuzu Kitchen. Just look at that slider. The pork loin was delicious and the tonnato sauce, something I don’t think I have ever eaten before was such a refreshing flavor. I have always thought Blue Sparrow is one of the best food trucks Pittsburgh. 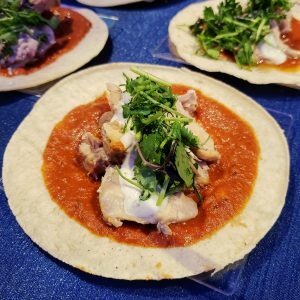 The tikka masala taco they created was fantastic. Fantastic spicy sauce with more savory dark meat chicken covered in a lime ginger raita and cilantro. All those flavors just came together so well. The Poke trend is starting to hit Pittsburgh hard. Kahuna I think might be making up some of the best after trying this dish. The yellowfin tuna was fresh and flavorful. The house Kahuna Sauce was delicious. I’m already in love with the pizza at Michigan and Trumbull. They created something different and enjoyable in the pepperoni jam. It was a great combination of sweet and spicy. Their dish was also paired with an excellent Liberty Pole white rye drink with lemon, peach ginger beer, rosemary, and a peach ring. 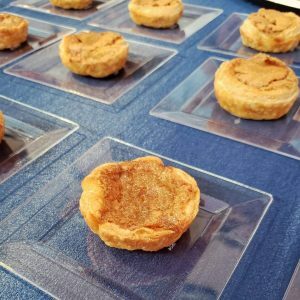 I had never had vinegar pie before. This sweet, tart and savory combination is so good. I started my night with this one and I was worried I would not taste anything just as good for the rest of the night. The salmon practically melted in your mouth. The yuzu combined with the wasabi offered a delightful sour, sweet and spicy combination. 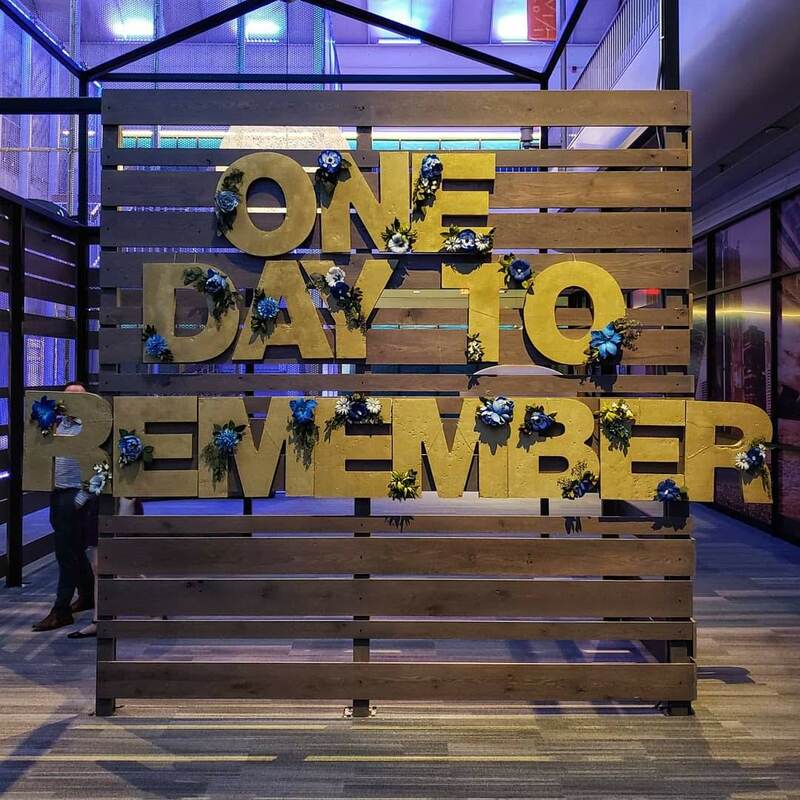 Last night was the fantastic @oneday_toremember #OneBiteOneDay Cocktail Party. Everyone should check out their profile and website to see what they do. Here's just some of the amazing food served last night. The event featured dishes from @barmarcopgh , @bluesparrowpgh, @birdontherunpgh, @kahunapgh, @lariviera_pgh, @michiganandtrumbullpizza, @milliespgh, @muddywaterspgh, @pieforbreakfastpgh, @tagliopgh, @sporkpgh, @supperpgh, @thevandalpgh, @umamipgh, @willowpgh, @yuzukitchenpgh and cocktails from @usbgpgh.